The Hugo Awards annually celebrate the best in science fiction and fantasy writing from around the world. Jo Walton is among the nominees for the 2019 Hugo Awards, an annual event celebrating science fiction and fantasy writing from around the world. 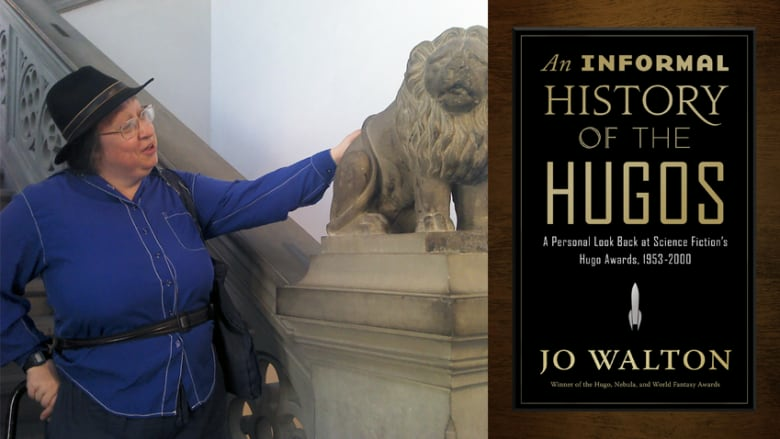 Walton is nominated in the best related work category for her nonfiction book An Informal History of the Hugos, a critical and personal examination of the 66-year history of the very prize she is nominated for. The Montreal author is a fixture in the science fiction and fantasy world, having won, among many honours, the John W. Campbell Award for best new writer in 2002 and the Hugo Award for best novel in 2012 for Among Others. Calgary, Alta. comic artist Fiona Staples is nominated in the best graphic story category alongside American writer Brian K. Vaughan for their book Saga: Volume 9. The critically acclaimed series follows two parents who fall in love despite being on opposite sides of a decades-spanning intergalactic war. Fellow Calgarian Jason Wordie is nominated in the same category for the book Abbott, written by American Saladin Ahmed, drawn by Finnish artist Sami Kivelä with lettering by English artist Jim Campbell. Wordie is the colourist on the comic book. Toronto-based writer Kelly Robson is up for a Hugo Award in the best novella category for Gods, Monsters, and the Lucky Peach. The novella takes place in 2267 on an earth that has become an ecological disaster zone. The Hugo Awards are also running a special retrospective version of the prize, honouring science fiction and fantasy writing published in 1944, which is before the prize's inception in 1953. In the best novel category, Canadian A.E. van Vogt is nominated for his 1943 short story series The Weapon Makers, which ran from February to April in the magazine Astounding Science-Fiction. Van Vogt is regarded as one of the most influential science fiction writers to come out of the mid-20th century. Van Vogt is nominated alongside Firitz Leiber, Jr. for Conjure Wife and Gather, Darkness!, C.S. Lewis for Perelandra, Hermann Hesse for Das Glasperlenspiel and C.L. Moore and Henry Kuttner for Earth's Last Citadel. Check out all the 2019 Hugo Award nominees on their website. Is real life stranger than science fiction?